From time to time I'm being tempted to be a part of a swap... 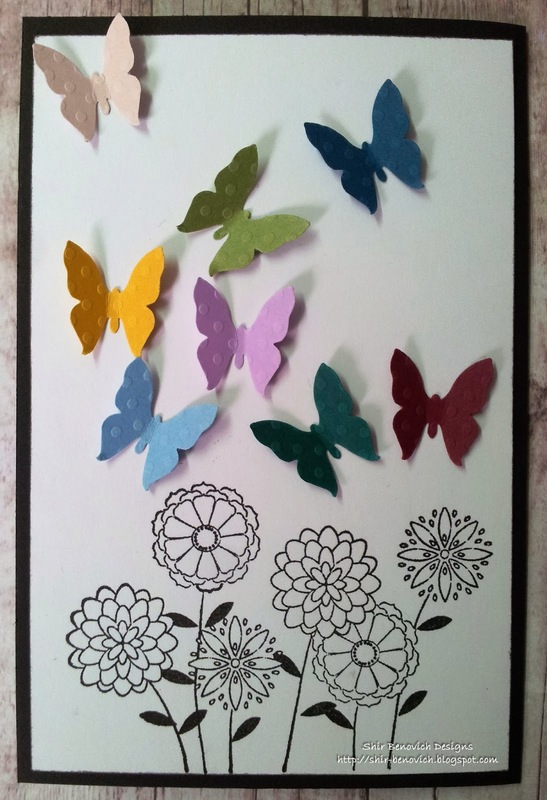 Send a card and receive one. It usually terrifies me to send to other: "what if she won't like it? ", "What if it's too simple? ", "What if it's not her style...? ", etc. This is the main reason I keep out of these things... But as I said - from time to time - I get tempted, and sign in. 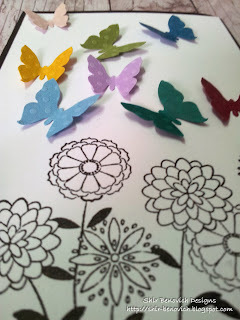 I like the contrast between the black & white paper & stamp vs. the colorful butterflies. I think it's clean and simple, as I like.